Farm deaths are on the rise. 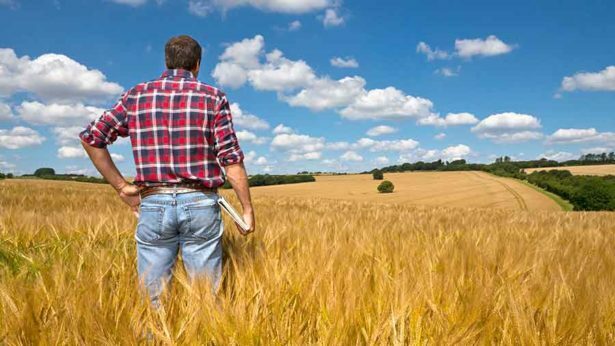 Over 22% more people are being injured or dying on a farm. Operating a vehicle and working with machinery are the most common sources of fatal injury. When given a true account of how a farmer died, can you spot what went wrong? Do you know what rights you have after an injury or death? After working all morning on the skid steer, a farmer was happy to see her 12-year-old daughter approaching. Her daughter offered to take her place and finish harvesting for her. The machine already had the agitator attached, so she thought everything would be okay. The mother got off the skid steer, but as her daughter climbed on the machine began to bounce. The young girl lost her balance and was crushed between the frame and the bucket arm. The design and manufacturing of skid steer loaders are flawed. Skid steer loader design requires operators to enter and exit through the front of the machine and over the bucket. Often, the loader’s control levers are positioned between the lift arms and in front of the lift arm pivot points. If, while mounting the machine, ’ hands or feet touch these controls, the lift arms, bucket or other moving parts can pin or crush the operator. That means: If you have a skid steer loader accident, it’s likely you are not at fault. Injuries sustained as a result of working with skid steer loaders are rarely caused by farm who use them. Even if you think you might be partially at fault, you may still be eligible for compensation. Again, that’s because you don’t have to misuse a skid steer loader for it to malfunction. Skid steer loader accidents occur because manufacturers’ designs are not safe, and manufacturers neglect to warn you of all the ways you can be injured while using these heavy machines. A 20-year-old farmer just finished harvesting corn on his family farm. He decided to drive the tractor over to the other field and work on the next crop. His family had an older model tractor with a large implement attached to the back. As he drove the tractor on the dirt road between the fields, the machine veered off the road and over an embankment. It overturned into the soft dirt. He was crushed by the rear fender and the seat of the overturned tractor. Tractor manufacturers do not design tractors safely. And they often fail to warn of the danger of operating them. That means: If you have a tractor accident, it’s likely you are not at fault. Injuries sustained as a result of working with farm equipment are rarely caused by farm who use them. Even if you think you might be partially at fault, you may still be eligible for compensation. Again, that’s because you don’t have to misuse a tractor for it to malfunction. Tractor accidents occur because manufacturers’ designs are not safe, and tractor companies neglect to warn you of all the ways you can be injured while using these heavy, complex machines. No matter how many safety precautions you take, however, you need to remember that tractors manufacturers do not design them safely. When you’re injured by a tractor, it is the equipment, not you, is “defective”. After a long day of honest work, a 55-year-old farmer decided to use the grain auger to unload a silo. Halfway through the unload, he needed to get to the other side of the machine. While attempting to step over the auger, he stepped on a metal shield. The shield’s job was to safely cover the bottom of the auger. The shield broke, and he fell into the machine. The auger amputated his leg right below the knee. On a per-hour-of-use basis, augers are one of the most dangerous machines farm use. The protective elements a manufacturer puts in place should not fail. Improper shielding of the auger is one reason so many accidents occur. Also, the shield is not enough to prevent injury. This means when an injury happens, it could be the manufacturer’s fault. They designed equipment that was unsafe and has a legal responsibility to ensure their products are safe. Too often companies put profits before safety, and machinery injures workers. 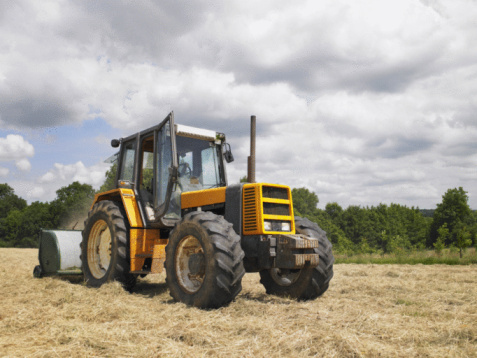 Defective farm equipment design could have caused your injury from a farming accident. That means: You are not at fault, and you deserve compensation! Depending on the case, a variety of parties could be responsible for defective farm equipment injuries, which may also include companies that design, sell, lease, or furnish equipment to farmers. Manufacturers who design and distribute unsafe machinery should pay you for losses you suffer due to using their products. Contact the Farm Injury Resource Center for a free confidential consultation.